Canucks are back this week. NHL starts on Thursday and hope this year is a better one than last year. 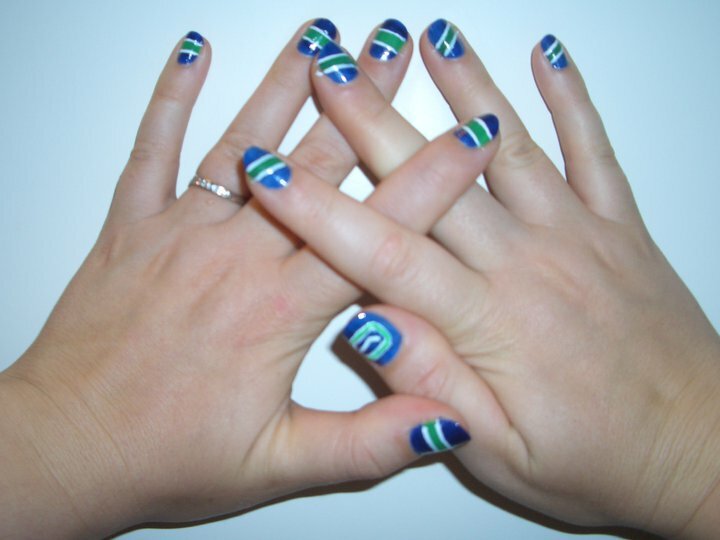 I had to do my nails for the start of the season as they are my favorite team. I used tape here to get the stripes just right. It took me forever to get the right colours ( I think that counts for ALL teams in all sports ) finding that perfect matching colour. Anyways, I think I did a good job. I don’t really like the LA Colours I find them too thick and not easy to glide. I might want to try Migi Nail Pens. Has anyone tried these out and if so are they any good?